It is now possible to register .BIZ.ID and .MY.ID domains by anyone on a first-come, first-served basis. 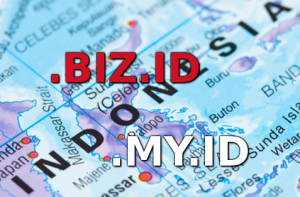 .BIZ.ID was initially targeted for Indonesian Medium, Small-scale and Micro Businesses, while .MY.ID for private usage, but currently there are no restrictions related to the use of these domain extensions. Local presence is required, however Web Solutions offer a Trustee Service for all available Indonesian TLDs. For Indonesia the level of Internet literacy keeps on increasing. About 20% of the population (more than 50 million people) are using the Internet. According to PANDI (Pengelola Nama Domain Internet Indonesia) the total .ID domain names registered barely exceeded 100 000 at the end of 2012, which shows that the Indonesian market is still a great opportunity and widely open to new businesses. Even these new TLDs which were just announced a month ago, has been very sought after. Registration of .BIZ.ID domains via our website system is currently unavailable. Please contact us at relations@web-solutions.eu for more information.